Tami Simon: You’re listening to Insights at the Edge. Today is part two of my conversation with Loch Kelly on “Pointers to Open-Hearted Awareness.” Loch Kelly is a meditation teacher, psychotherapist, author, and founder of the Open-Hearted Awareness Institute. A graduate of Columbia University, Loch is a licensed psychotherapist and has been teaching seminars and practicing awareness psychotherapy in New York City for 25 years. He’s also collaborated with neuroscientists at Yale, the University of Pennsylvania, and NYU to study awareness training’s effects on enhancing compassion and well-being. 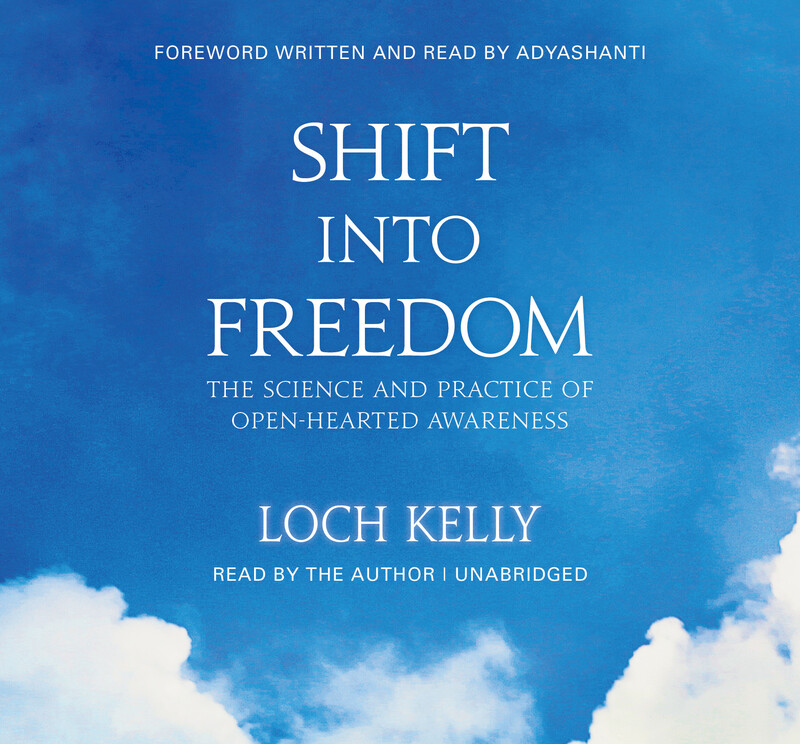 With Sounds True, Loch Kelly has just released a new book and a companion audio series called Shift into Freedom: The Science and Practice of Open-Hearted Awareness. Loch, you and I had a previous conversation—”Pointers to Open-Hearted Awareness.” I’m so pleased to be able to have a second part to our conversation where we can clarify some things and go a bit deeper. So, it’s a great joy to be with you. Welcome. Loch Kelly: Thank you, Tami. It’s really wonderful to be here and continue our conversation. TS: Your new book is called Shift into Freedom. So, to begin, I’d love for you to clarify for our listeners what [this shift is]. We’re shifting from what to what? LK: Yes. So, I would say that the shift is from a kind of thought-based, chattering mind—or what’s often called “ego-centeredness” or that small sense of self that we all know—the one that often feels like a judge or a commentator that becomes us and then has a basis of fear and worry, and is caught in the past and projecting identity and worries into the future. So, that pattern—what I call in one sense “ego identification”—but in another way what I call it is “the Mini-Me.” We’re shifting out of this Mini-Me and this thought-based way of knowing, which loops around itself and creates a small sense of self that—when we shift out of it—we have an immediate relief. [This] is what most people report. But, perhaps even more important is not just to shift out of it into emptiness—meaning negative emptiness, meaning a gap of not knowing—but shift through the gap of not knowing to the freedom of a new kind of knowing that is empty and awake and alive and spacious and, ultimately, embodied and loving. TS: Now, it’s interesting that you bring up this idea of the Mini-Me, because I think a lot of people have that experience—that there’s a little version of themselves living inside their head. Something like that. So, where does this sense of the Mini-Me come from, [which] so many of us have? LK: Well, in some ways, I was so interested myself in that exact question that I spent a lot of time both studying [and] particularly looking within and playing with, “How does this pattern form? How does it relax? How do I let go? How do I just rest and let it dissolve?” And then watching it reform. So, a young child—two-and-a-half years old—starts to be aware that, “I am a subject and an object in the world.” So, then that ability to say, “Oh, I shouldn’t do that. Oh, I feel like touching the stove. I better not. What’s wrong with you? You shouldn’t do that,” starts to split us into two parts—the kind of actions or functions of the ego, and then secondly this commentator-judge sense of a little Me, almost driving the car or the vehicle of our body and even [our] personality. TS: Well then, it seems like the big question is: So, this Mini-Me develops, but you’re describing it as “a pattern” of thought that’s looping around. Is it not something real, living inside of me? It’s just some sort of fictional creation? LK: Well, it’s funny, because that’s one of the misunderstandings in a lot of discussion. It’s, “Is it real?” No, it’s not real—but it’s actually really happening. In other words, it’s not real—meaning there’s not an actual little Me in there. It’s just a pattern of thinking. But, that doesn’t mean there’s no ego identification, because there is—because it feels like it’s real. So, it feels like it’s real and we’re operating from it. However, it’s not real in the sense that it doesn’t have to be there, because it’s actually just made of a combination of functions—thinking and a kind of survival program of the body. And when thinking and judging and survival programs relax or unhook or deconstruct, then they remain available—but they’re no longer the center of identity. Thought becomes a tool or a useful part of us rather than the center of who we are. TS: Now, in your book, Shift into Freedom, you describe that there are three main ways that we can see through this ego identification, if you will—or make this shift. In the book, you offer many, many different pointers that build on these three different ways. I thought it would be very, very helpful for our listeners if we could go through these three different ways of—you could say—making this shift out of the Mini-Me into what you call awake awareness. Here’s the first one that you teach in the book: unhooking and dropping into the body. So, I’m wondering if you can take us through this. How do we unhook from our thought-based identification and drop into the body? LK: Yes. So, the amazing thing is that it is simple, but not always easy the first time. So, I just want to speak to the listeners and say that I often say, “Even though you don’t know how to do it, or what’s unhooking, or where it’s unhooking from, or, ‘How could you unhook?’ because you’re not actually doing it, just give it a try like riding a bicycle.” Sometimes, it takes a couple of attempts, but no big deal. You just start again. So, with that said, it’s simply a feeling of, as if all your senses are on and, as you’re listening to us talking, you’re attending from your thinking mind to, “What is he saying? Am I understanding this? What are we about to do?” So, awareness is identified or attached with thought. So, if you just feel as if awareness could unhook or let go or step back from thought, and then just feel down into your chin. Then become aware of your throat from within. Then feel as if awareness is just gently dropping and knowing your upper torso directly from within your upper body. So, just simply resting, unhooking, dropping, knowing directly—so that you’re not looking down from thought to know what you’re feeling from within. You’re not looking up to thought to check. There’s kind of an intelligence and a knowing of awareness and a kind of effervescent aliveness of sensation from within. You’ll notice immediately by the unhooking that the awareness is now what’s knowing, but thought has now moved into the background or is less central. So, help our listeners understand: when you use this word “knowing from inside the body”—we’re inside, we’ve dropped in, but we’re knowing—what kind of knowing is that? LK: Right. This is really the big leap. I talk about some of the non-conceptual ways of knowing that have been discovered in Western psychology such as the adaptive unconscious and particularly the flow state, which I think many people know. That is an experience that many people may have had where you actually are highly functioning in the midst of your life, but you’re not referring to thought. Thought is operating on a functional level, but you feel very open, very present, very connected to what you’re doing, creative, related, and free of the Mini-Me so that you’re in a flow. So, that’s the kind of knowing. It’s a knowing—the awareness, though, is knowing as what is often called “the source of mind” or “wisdom mind” or you could use the word “alertness”—as the first feeling of it. You feel alert or awake or clear, and simplicity or fresh—clarity. Some people use “light.” Clear light. TS: Now, the other feedback I got about this word “unhooking” was, “You know, when Loch uses the word ‘unhooking’—you’re going to unhook from a thought-based way of knowing the world—he makes it sound so easy, like unhooking a fish off of a hook. ‘OK, the fish is off. Just like that.’ That’s not my experience. It’s not that easy to just ‘unhook.’” So, what would you say to that person? Once you learn it, it is that simple for most people. Once you’ve learned how to tie your shoes; once you’ve learned how to unhook a fish; once you’ve learned how to unhook awareness, it is as simple and obviously a little more profound. But, that’s what the whole approach—that’s what the book, that’s what particularly the audio CD is about. [It’s] leading you through, step by step, to have the direct experience of unhooking. So, you can’t—just to say, the reason we can’t do it is we don’t know how to do it. We can’t remain the doer and we can’t use thought to unhook, so you actually have to almost just intuitively do it the way you would get on a bicycle and say, “OK, I’m going to balance. Here we go. One, two, three.” Then you’re balancing. TS: Now, one more thing about this unhooking. I think it’s such a useful term. I really like it. I’m wondering: was there a breakthrough moment where you got, “Oh! It’s unhooking.” When that word and that image came to you? LK: Yes. I remember, actually—I was working at Brooklyn Mental Health Clinic as a psychotherapist in an outpatient clinic with mostly clients who lived in halfway houses and had major diagnoses, and would come into the clinic. I would do sessions with them. One day, it was so snowy and rainy at the same time that people didn’t come in. It was a two-day storm. So, I was sitting there in my office looking out of the window, and I just started to—with my eyes open—feel how awareness and thought came together and attached. So, some people could do this right now. It’s kind of unusual when you get a feel for it. If you let awareness identify with thought, with creating a thinker, creating an observer, creating a judge, creating a monitor—and then just unhook and open to the space in which sound is coming and going. Now, have awareness come back and identify with thought and whatever’s happening. Start to look to thought and from thought, and identify, and hook back up. Identify and attach. Then just be that, feel that experience as this little Mini-Me when you’re attached [and] identified. Unhook and drop below your neck. Let awareness unhook. Know your throat directly. Know your chest. Know your upper body directly from within. Then, usually by the third time I say, “OK, go back and attach again—” they go, “No, no, no. I’m not doing that. I get it now. That is painful.” Right? So, being attached [and] identified, and then unhooking is dis-identifying, detaching, letting go, surrendering. So, it’s just a very experiential—you can also slide out. You just don’t want to stretch, because if you’re identified with thought, you can actually stretch thought from your mind. You can stretch down and be aware of the sensation in your body, but you’re still kind of looking from your mind. So, you want to really find that way of non-attachment through detaching. TS: Now, one more question about this unhooking and dropping into the body. Tell me a little bit more about the dropping into the body and how that is helpful in terms of opening to awake awareness. LK: Yes. So, in terms of navigating our own consciousness, awareness is usually identified with thinking and then also seeing. Those are the two strongest senses. In Buddhism, thinking is considered a sixth sense. So, if thinking is the sixth sense, then what does thinking report to? It reports to awake awareness as the source of mind. So, when we unhook from thought and come into the body, we’re coming into kind of a subtle body presence—or you could say we’re returning to our senses. So, I think it’s a lot of what yoga is trying to do, a lot of what chanting is trying to do by saying, “Om,” and in fact when you’re watching your breath at your belly or at your chest rising and falling—except when you do those practices, you’re maintaining a center in your everyday mind, which is why you can’t focus and you keep losing attention, and have to return. As soon as awareness—which is already permeating our whole field of consciousness. There’s research that shows that the entire body is part of the knowing brain. Certainly going down the spinal column and having parts in the stomach. There’s a lot of research about the physiological, but mainly I’m focused on what [the experience is] —that when you experience this, regardless of how it’s being done—because that’s not philosophically as interesting as when you unhook awareness and come into the body, you are embodied. You are in what’s called “subtle body,” which is similar to “subtle mind,” which is mindfulness observer. So, we’re not embodied yet. We’re just dropped out of thinking and seeing as predominant. So, coming down there is kind of a transition to being able then to unhook again and open to a more spacious awareness. Eventually, we return from spacious awareness to include thoughts, feelings, and sensation, and feel an embodied presence. But, it’s very different because it has a field of interconnectedness with others and it has a feeling of spacious, boundless ground—as well as being fully knowing your body directly from within. TS: OK. 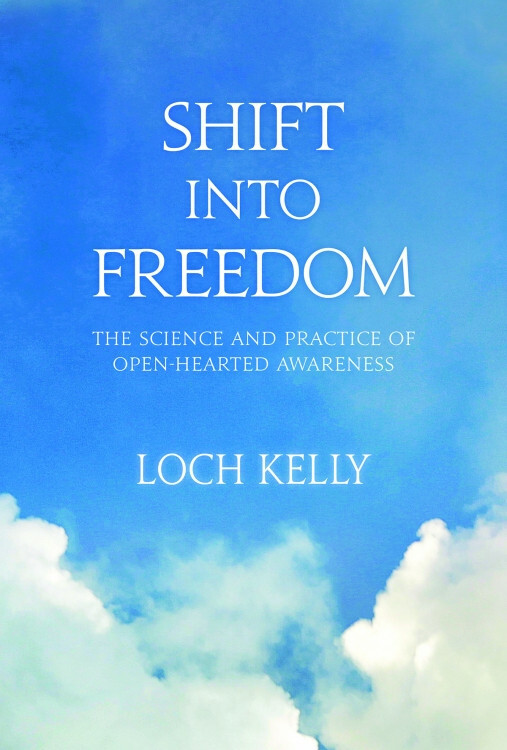 I want to take us, Loch, to the second main way in your book, Shift into Freedom, that you help people make this shift from thought-based knowing to non-conceptual knowing or the world of awake awareness—which is “shifting to panoramic awareness.” Show us how to do that. How do we shift to panoramic awareness? LK: OK. Well, panoramic awareness is one of the—again, it’s funny. With these practices, as I have said to a number of people—I find it easier for people to learn these when they learn mindfulness meditation. But, I find that each of these doorways—dropping into the body, opening a panoramic awareness, opening through hearing to space—or going directly to space. I would say 80 percent of even beginners can get one of those doors and get a sense of what unhooking and direct experience of non-conceptual awareness is like. But, many people find one of the doors doesn’t work so well but another one does. So, this one is a way of what I often call “returning your eyes to their natural state.” So, in some ways, we tend to experience seeing as if it’s like our hands—as if you were to look an object in the room and just focus on it, it’s almost as if you’re going out to look at it as if you’re touching it. Like, “Oh, look at that.” Almost as if you’re going out of yourself to focus—as if I am aware of the object—as if it moves from an eye to an object. So, one of the first pointers is that seeing is more like hearing. We know that hearing—sounds on the physical level come from outside. Vibrations happen through space. They vibrate our eardrums and then come to us. So, hearing is receiving. Similarly, seeing is receiving. Light reflects off of objects and comes to our eyes. Then it can go to our brain, get labeled for a second, and then the information can go immediately to this spacious awareness or open-hearted awareness. If you just feel that shift in that way, what is it like seeing as receiving? TS: That’s really huge. That’s a very big shift. LK: That’s a very big shift. Right? That by itself is a huge pointer and a simple pointer, which a lot of these are. Your eyes—what would you say? Your eyes relax. What else happens? TS: There’s more of a sense of a whole field around me. Like, I’m in a field. There’s not as much looking at particulars, but more being like in just a visual soup. LK: Yes. And yet you could respond if you needed to to something that happened—if you needed to focus on a pen or pick up a pen or something. But, it changes your whole way of your brain, your awareness—so, the combination of awareness, eyes, and brain has shifted [and] has unhooked from its normal kind of developmental trained pattern. In the moment, it can unhook or shift into its really natural state, because it is receiving just like hearing. TS: Now, I’m curious again how—if there was a moment when this really lit up for you and you got it? This different way of working with the visual field. LK: I mean, a lot of it—and not just the first pointer. There’s a couple more that go with that. There’s often a lot of talk about [how], when you let go of the initial doer or ego identity, that then—I think there’s a tendency for people to be very passive. Then you just have to let everything be as it is. That’s part of it—is letting go, letting be. But, there’s also—in order to live from this, there’s a dance that happens. There’s a new local awareness that is not the old doer, but it’s interacting, receiving part of the field. You start to feel like you’re a wave arising in the ocean of awareness and so is everyone else. So, there’s some ways that you’re separate, some ways that you are empty, some ways that you are interconnected, some ways that you’re everywhere, some ways that you’re nowhere, and some ways that you’re here. TS: Now, you said there was more to the panoramic awareness that we could explore together. So, let’s do it. LK: OK. So, the next part is kind of a version of what’s sometimes called “Sky-Gazing” in one of the Tibetan Buddhist practices, where you would normally go to a place apart in the world—usually a mountaintop, where you have a great, big sky. But really, all you need is your peripheral vision and about an arm’s length of space in front of you. Or maybe less—I don’t know. So, what we’re going to do is we’re going to open our peripheral vision. Interestingly, when we open our peripheral vision, it actually has nothing to do with moving your eyes. The eyes will just remain relaxed, almost as if they’re being held from below like they’re resting in the socket. Then just having a soft gaze in front of you, feeling like there’s an ease. And then instead of looking at the wall or the next object, just look—almost as if you were to put your hand up in front and then drop your hand. So, just look at the space in front of you. So, objectless, contentless. Just not pinpointing. Then, as you begin to open your peripheral vision, you’ll see what’s moving in awareness is not your eyes. So, you’re not crossing your eyes [and] you’re not opening your eyes. So, just gently—either looking straight ahead or a little bit up; either one—begin to open your peripheral vision. Feel yourself grounded in your chair or on your couch. Look at the space around you, and as you open your peripheral vision to the left or right, just be gentle. Take your time. You can breathe in and smile, and you begin to open your peripheral vision equally left and right. Again, just relaxed and smile and alert. Just as your awareness starts to open to both sides, just let awareness—as it comes to the side—continue to unhook from seeing and just begin to [let] the awareness to continue to open around being aware of the sounds that are moving through space, through your ears. So, awareness continues around behind your back to the space in which sounds are coming and going there. Now, receiving a 360-degree panoramic openness—until you feel you are open to the space all around, until you feel like you can open to the wall or if your awareness opens until it finds the awareness that’s already aware and looking back from this spacious awareness toward your thoughts, feelings, and sensations. So, the inquiry is: Am I aware of the spacious awareness? Or, is the spacious awareness where I am—which is spacious awareness—aware of thoughts, feelings, and sensations that felt like they were the center of me just moments ago? So, then feeling that awareness has your back—almost feeling awareness behind your back—is also aware within you, embodied from head to toe. Then the awareness is kind of looking out of your heart, interconnected to all things in front of you. You feel like there’s a field of awareness in front, within, behind, all around. You’re grounded in the boundless ground and also in your body. Feel that you’re equally aware inside and out without effort—or neither inside or out. There’s kind of a field of continuous awareness that’s inside and out, but you don’t have to alternate going out [and] going in. Just accepting everything and it’s welcoming all experience and thoughts, emotions. It’s reorienting. Just letting be, not efforting. But, it sounds like you don’t believe that. So, that’s my experience. My experience is—and the approach is—that you immediately will get the same effects that are important, which are calming and focusing. But, as you experienced, you’re not focusing in a one-pointed way that is going out to grab something—and you’re not focusing from the chattering mind. You’re focusing from spacious, embodied awareness, which is already calm and alert. So, you have the foundation of Shamatha and Vipassana. Then you can see the contents are not who you are, but they’re not not who you are. They’re part of you. Especially—I just feel like people in contemporary culture have done most of the preliminary practices around educational development, technical development, physical development that often are the yogic and paths of relationship and right work. They’re in the midst of those kinds of developments—certainly by early adulthood or midlife, people are ready to shift into this naturally awake awareness. And, they don’t have time to go to a monastery to do the preliminary practices. They have a hard time doing those practices, because I think—for most contemporary people—minds are so sharp and so fast, it’s very hard to calm down the chattering mind as the first stage and to develop a meditative witness—which is actually just a temporary or early stage of observer. So, that can take so long that if it’s possible to assume we have the ability to shift into the next stage—which is, instead of starting with deliberate mindfulness, starting with effortless mindfulness and heart mindfulness—then all the attributes and benefits of deliberate mindfulness are immediately available. It seems like a good contemporary approach because it’s very simple and it doesn’t have a lot of religious—or even energy practices, or even guru practices. Meaning that it’s a natural stage of human development and can be described and taught, and is very available. TS: OK. Let’s move to the third main way. In this conversation, you offered a fourth. So, we’re going to have to get there too. So, let’s keep going. But the third main way of shifting from thought-based knowing to awake awareness is shifting from hearing—using the hearing to shift to spacious awareness. LK: Right. Yes. So, you see these doorways are using three different senses—shifting into sensation or the body, shifting into seeing, and then unhooking awareness from the body and unhooking from seeing. Then the third one is using hearing. So, they’re kind of transitional doorways to shift. The main thing to all of them is actually recognizing what [we are] shifting into. So, this is the freedom of what is really the freedom from suffering. That’s what the [phrase] “shift into freedom”—the freedom is the freedom from suffering and the freedom to feel joy, compassion, well-being, and interconnectedness. But, they are blocked by this attachment or identification, which is a traditional way of talking about it. It creates a dissatisfaction. So, when you unhook from your Mini-Me, you take care of a certain dissatisfaction. It just drops away. You recognize an awareness that can function in the world. You don’t have to be in a monastery or a cave. Then you go into a kind of flow state and discover the natural qualities of well-being and love that you don’t have to create or develop. But, they’re kind of natural bodhichitta—they’re kind of naturally who we are underneath it all. So, eventually when you do it, you’ll do it. You’ll feel like all your senses are on and you’re listening to us talking. There’s a sense of awareness as attached or identified with thinking—it’s trying to understand what I’m saying. Then simply let awareness move from thinking and focus on either one or both of your ears in a small area of just hearing. So, neither focused on the hearer or what is being heard. Unhook awareness. Come to one or both of your ears. Just hearing awareness in a small area of sensation or vibration. Then, just as awareness can focus in a very small area and you feel the relief of focusing on thought [or] looking to thought, now awareness can unhook or open to the space all around in which sound is coming and going. So, let awareness open to the bigger space. Become interested not just in sounds that are moving, but the space in which they are moving. So, you let awareness mingle. Become interested in space—open to space—until space is aware—until you are aware of space and aware from space. Objectless, contentless, timeless, boundless awareness that’s aware of itself without referring to thought or the senses. Just awareness that’s spacious. Again, looking to see if you’re aware of spacious awareness or if actually you’re resting as spacious awareness—which is aware of thoughts, feelings, and sensations happening within your body. Or, maybe open—just becoming aware from spacious awareness. Then, as you do, you notice that kind of new feeling of connecting to your whole body and particularly your heart-line. So, when spacious awareness comes back and is embodied awareness, notice that you don’t have to go up to thought, but there’s kind of a feeling like you’re either in your whole body equally or your center is more—there’s heart space in the middle of your chest, from which there’s a feeling of some kind of knowing that isn’t informational. So, what does this open-hearted awareness know to be true? Just feel into that. What do you notice? Anything? TS: I feel just a tremendous sense of openness when you said that. TS: It just felt endlessly open. LK: Do you feel a new being—a kind of—? LK: Do you feel grounded in being? LK: Yes. That’s what people often report—that they feel OK or a sense of well-being, or a sense of freedom from shame, freedom from fear, freedom from feeling there’s something wrong with them. A kind of feeling of unconditional love or OK-ness. A sense of that kind of coming-together of—yes. TS: So, help me understand one more time, Loch, why we work with first sensation in Door Number One and then vision in Door Number Two, and now hearing. What’s the importance of sensation, vision, [and] hearing to help us make this leaping-off into this very open spacious awareness? LK: They’re just kind of transitional doorways from coming back to the senses and then going to space. You can actually—as I mentioned—you can just shift right into space. Even doing a little of that, just be aware of awareness identified with thought and then open to the space in which sound is coming and going. So, you can go right to that spacious awareness. The importance, then, is that the key transition—which is something, again, that you kind of can’t explain, but most people fairly quickly can—it shows up. You realize that awareness discovers an awareness that’s already aware. And you’re not doing it. That awareness is aware of itself first and foremost as timeless, boundless, contentless awareness. So, that awareness—what’s discovered—is often called “a higher power” or “spirit” or “awake awareness” or rikta, or turiya. That is the foundation that—now, when that has realized that is not only spacious and aware of itself, but it’s also not separate from your individuality or that it’s not other than form. So, its form is emptiness. And then that’s the first move. Then, emptiness is form. So, then you come back and feel with the ground of emptiness that is awake, is the key. Not emptiness that’s absence, but awake, aware. No-thing-ness is aware from within as form—as aliveness and body, relative reality. They’re not two. But, that’s really what in Buddhism nonduality means—is not just the pure awareness, but those two truths that ultimate reality is awareness aware of itself, empty and awake. But, it also is not separate or not other than this form—this personality contents, this human life and experience that is arising through bliss and emptiness, [and] through compassion and emptiness. That’s the freedom. That’s the real freedom that starts to arise—freedom of creativity and relatedness—from discovering this new ground of being. TS: Now, Loch, you’ve mentioned some of the teachers that you’ve studied with. I know you studied with Tibetan Buddhist teachers. You’ve spent a lot of time working with Adyashanti and other teachers. Yet, it seems that your presentation—the practice of open-hearted awareness [and] the way you present it—has a type of, I would say, original presentation to how you are bringing it forward. So, I’m curious about that—the original part of the presentation and kind of having the courage to do that—not work specifically within one tradition. Tell me more about that. LK: Right. Yes. That’s not an easy dance. It comes from the original kind of pointing-out that happens—different people both having some glimpses—through a period in my college years, when I had a glimpse after severe losses. When my father died of cancer and then my grandmother—who lived with us—died soon after. Then my best friend from the hockey team died in a car accident. [I was] feeling very overwhelmed and depressed. And then one night, it was just lifted in a certain way. I was just saying, “Wow! Something else is here. This is amazing.” And then having glimpses like that. But then, I guess through this one Chinese doctor—Dr. Chan in New York, who pointed me toward Secret of the Golden Flower[and] turning awareness back toward itself. And then Tulku Urgyen also doing the same thing—realizing, “OK, it’s equally available in each of us as each of us. It’s here. It’s simple. It’s not convoluted. It’s not bells and whistles. It’s not fireworks. It’s not complex.” The other is complex. This is not complex. So, I kind of did the academic—the journey to India, the checking it out with teachers, the internal testing, and then finally testing with students. And then taking a lot of years to write this book to put it into a more formal form. TS: Now, there’s one more area I want to make sure we touch on, Loch. Which is: when you offer this teaching on the practice of open-hearted awareness, you talk about it as an adult development model, if you will—that this is available to us as the next stage. This coming into awake awareness—it could be the next stage in human development. Then you describe that there’s waking up, waking in, and waking out. I wonder if you can explain that for our listeners—waking up, in, and out. LK: Yes. So, that’s kind of the process. As that question I had asked: “Well, Loch’s talking about unhooking. How can it be that easy?” In some ways, it is simple. Not initially easy, like learning to tie your shoe. But, when you’re able to do it, it’s a small glimpse of the already awake reality. So, that’s one of the big differences between gradual practice and this kind of direct recognition [and] gradual unfolding. So, there’s direct glimpses—small glimpses—many times. It’s one of the ways I have heard it said in Buddhism, so that’s something I use. Small glimpses many times. Then there’s a recognition that this is freedom—that this is freedom from—and then a freedom to be. [It’s] this kind of realization. You realize, “Oh, this isn’t an experience I’m having. But, this is who I am, to which experience is happening.” That’s realization. So, that’s waking up. There’s waking up out of ego identification and thought-based knowing, and then waking up to awareness as the foundation. It’s still waking up. That awareness—realizing that it’s none other than form [and] none other than relative reality—this is what’s called co-emergent wisdom. That is waking in. So, waking up out—but then we’re not stopping as some systems do—in pure awareness as the final goal or transcendence or getting out of this human body. Or seeing we’re not this—we’re only awareness. But, that’s the first waking up. But then there’s waking in to discover that there’s not two things going on—that who we are in this precious human person is amazing and can be remarkable as we wake into kind of an embodied presence and the discovery of this heart-mind—this non-conceptual way of knowing that’s not thought based. Then this sense of the opening—of waking out to other people. Waking out to relationships and creativity, and waking out to living from this awareness-based, open-hearted awareness so that it’s actually a new operating system. We’re not having meditative experiences and then going back to living from egoic life—then go meditate and come back. It’s actually a shift of identity. The waking out is beginning to live in a kind of flow state—from this well-being and emptiness that’s appearing as form without a lot of the dissatisfaction. TS: Now, you have an interesting quote in the book: “You can wake up but still not grow up.” When I read that, I thought of a lot of people that I’ve met who seem like they’ve had deep experiences of waking up, but I’ve witnessed situations where they don’t seem to be acting in very grown-up ways. So, help me understand that paradox that seems to be very evident. LK: Yes. I think it’s evident too. Again, some folks in the nondual world separate the two and call it “praising wisdom” or some kind of “You can’t understand somebody who’s awake.” Or, “They can do anything they want.” Or, some sense of awakening as beyond all human form. But, I don’t feel that’s true. I feel that awakening is a very particular way of relieving suffering and finding a foundation of identity and knowing. But then there’s equal feeling of including the human responsibility and integrity, [as well as] learning how to relate and create and be willing to admit mistakes and continue to grow and realize that the world is not perfect and no human being is perfect. Awakeness is already awake. It doesn’t need to be developed. But, relative reality is—just by realizing that doesn’t mean you’ll go into ethical relativism and not bring the two together. In some ways, awakening—full awakening, which is what I’m pointing to with the “waking up, waking in, and waking out”—starts to include these lines and levels of development. If you just wake up in the first level, you feel like you’re beyond it all, you’re relieved, everything’s a play, it’s [inaudible], it’s all the same. That’s really just an initial insight. The waking up continues to unfold from there. When you wake into the heart, you start to see everyone as yourself. There’s a tremendous love and respect and integrity. You see that you’re not perfect and you apologize and make mistakes. But, you’re always seeing the other as yourself. But then, it’s harder to act out if you’re starting to grow up as well. So, in some ways, you can’t grow up all the way unless you wake up. You can wake up and not grow up, but you can also grow up only to a certain level without shifting identity because the first level of growing up is only an ego identity that can only go so far. You can’t really bear a full emotional life. You can’t deal with being intimate and emotional and grow to the next stage of basic human development. TS: You know, Loch: As a final question, I want to talk to you some about the publication of Shift into Freedom. We’ve done this two-part conversation on “Pointers to Open-Hearted Awareness” in part to celebrate the launch of this book and audio series that I know was been a long time coming. I’m curious to know: Here we are. We’re celebrating the launch of Shift into Freedom. What does that feel like for you? It’s just kind of an openness because it’s kind of a launching pad. Meaning, it’s just the next phase of my next life will be—now that I’ve written this down, I feel like I want to unpack it and help people put it into their lives. I don’t know exactly—I haven’t made a big plan about how to do that or the best way to do it. But, I feel like it will show itself to me. So, it feels real exciting. It feels like I was able to get something indescribable into some series of pointers. I think especially that the most accessible thing is the CD or the audio. You could not read the book, but you could listen to the audio like three times. If you went through it one-two-three, it would take you through the essence of the book. TS: I’ve been speaking with Loch Kelly. Loch, thank you so much. 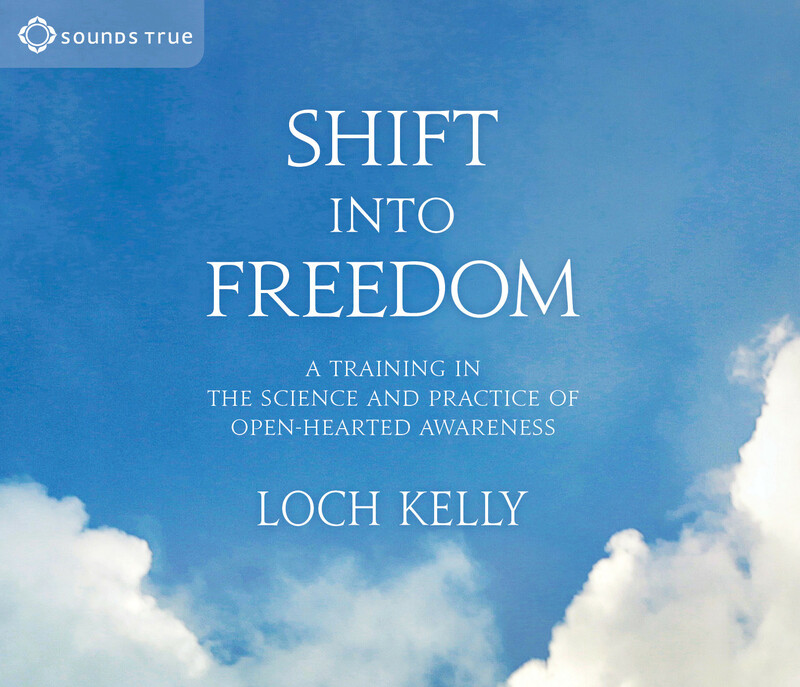 He’s the author of a new book and an audio series called Shift into Freedom: The Science and Practice of Open-Hearted Awareness—a book that has received a tremendous set of endorsements. People are calling it “a threshold book” packed with teachings and pointers and practices, as well as—as Loch mentioned—a new audio series. Shift into Freedom. Loch, thank you so much. LK: Thank you, Tami. I’m so happy to be with Sounds True and having a team to help get this out and share it with everyone.